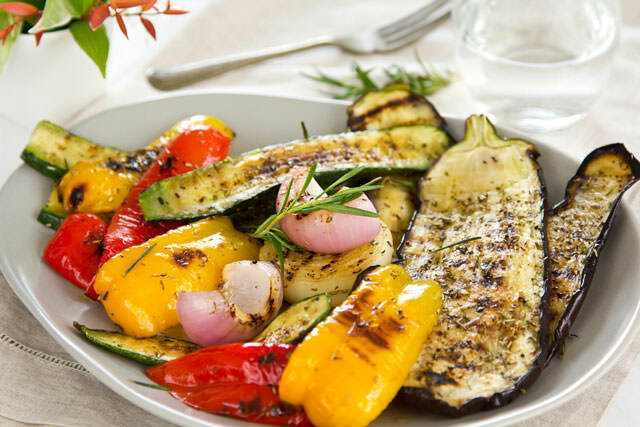 You can never go wrong with some grilled veggies and this particular recipe will ensure that they do not lose any of their freshness and deliciousness while also providing you with that extra kick of flavors you get from balsamic vinegar. Mix olive oil, balsamic vinegar, soy sauce and salt and pepper in a large bowl. Dunk the vegetables in the marinade and let it marinade for at least 45 minutes. Preheat grill to medium and oil the grate lightly. Take the veggies out of the marinade and let them drip out. Grill the veggies until tender, usually between 10 and 15 minutes. Brush occasionally with marinade. Serve the vegetables on a platter and serve with leftover marinade.